Image credit: NASA's Goddard Space Flight Center. 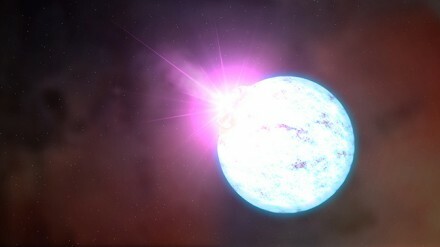 Astronomers using NASA's Swift X-ray Telescope have observed a spinning neutron star suddenly slowing down, yielding clues they can use to understand these extremely dense objects. The globular star cluster NGC 6752. 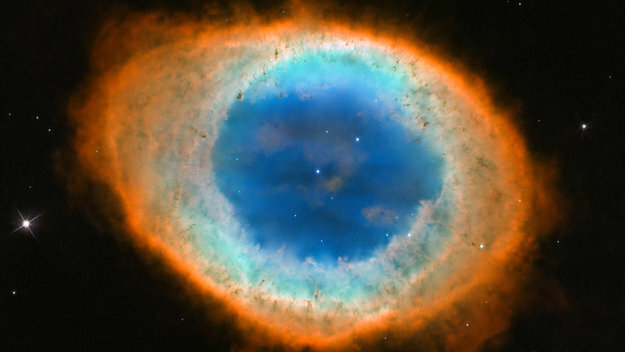 Hubble presents the most detailed observations ever of the Ring Nebula. Image credits: NASA, ESA, and C. Robert O'Dell (Vanderbilt University). 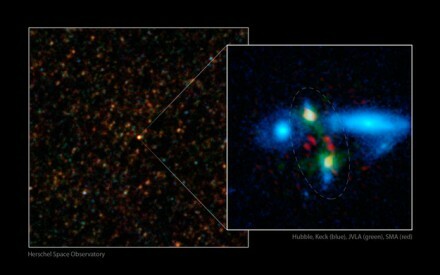 Lyman-alpha blob compared with Andriomeda galaxy. 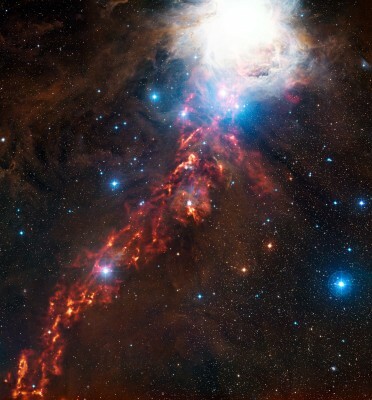 Image credit: University of Tokyo Kiso Observatory. 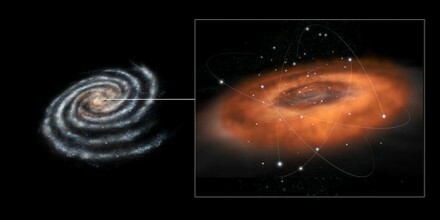 The image above shows the immesity of a Lyman alpha blob compared to the Andromeda Galaxy in the upper right corner, scaled as if were at the same distance as the blob. 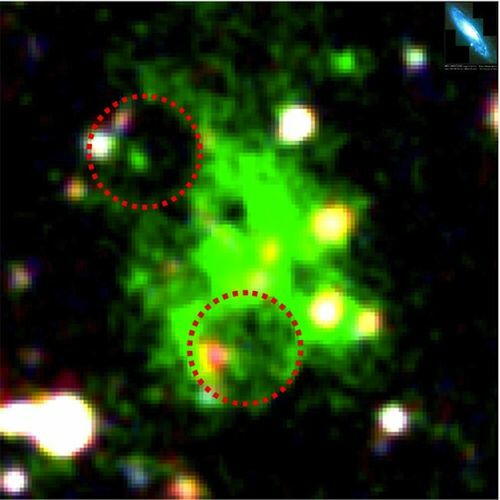 The red circle indicates a bubble like structure discovered with the Subaru telescope, the 8.2 metre flagship telescope of the National Astronomical Observatory of Japan, located at the Mauna Kea Observatory on Hawaii. These huge bodies of gas may be precursors to galaxies. One of these objects, named Himiko for a legendary, mysterious Japanese queen, stretches for 55 thousand light years, a record for that early point in time. Himiko is located at a transition point in the evolution of the universe called the reionization epoch -- it's as far back as we can see to date.Extended blobs discovered thus far have mostly been seen at a distance when the universe was 2 to 3 billion years old. No extended blobs have previously been found when the universe was younger. The image of the gigantic, amoeba-like structure is seen as it was when the universe was a mere two billion years old -- about 12 billion years ago. 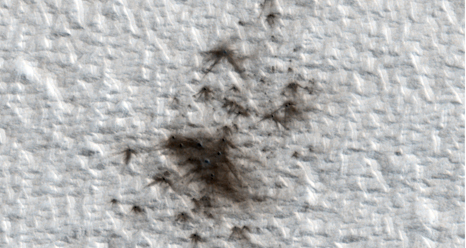 Normally, Lyman-alpha emission is in the ultraviolet part of the spectrum, but Lyman-apha blobs are so distant, their light is redshifted to (longer) optical wavelengths. X-ray data (blue) indicates the presence of a supermassive black hole feeding at the center of an active galaxy embedded in the blob. Lyman-alpha blobs could represent an early phase in galaxy formation where the heating is so great it begins to limit further rapid growth of active galaxies and their supermassive black holes. Some of the gas blobs are up to 400,000 light years across, nearly twice the diameter of the Milky Way's neighboring Andromeda Galaxy. Scientists think they formed when massive stars born early in the history of the universe exploded as supernovas and blew out their surrounding gases. Another theory is that the blobs are giant gas cocoons that will one day give birth to new galaxies. Black holes actually emit immense amounts of radiation (it's just that none of it comes from inside the event horizon). As the black hole hoovers up material, the mass spirals in towards the black hole. As it falls it's accelerated and heats up (imagine a rock falling to Earth), and hot material starts to glow. Very hot material radiates even more energy, "glowing" all the way up to X-rays. Observations with NASA's Chandra X-ray observatory have found black holes in several blobs about eleven billion light years from Earth, at the very edge of the system's detection ability. They can't quite make out the other blobs yet, but they believe that every blob has a black hole core -- just as galaxies do -- which powers their radiation even as it eats their matter. In fact, it's these black holes that prevents the blobs from ever becoming anything else. Such a vast cloud of matter would inevitably collapse to start creating stars unless there's something working to prop it up against gravity -- the radiation from a billion-sun-sized black hole. Which is enough to do most things. "Something this large and this dense would have been rare in the early universe," said Ryosuke Yamauchi from Tohoku University. 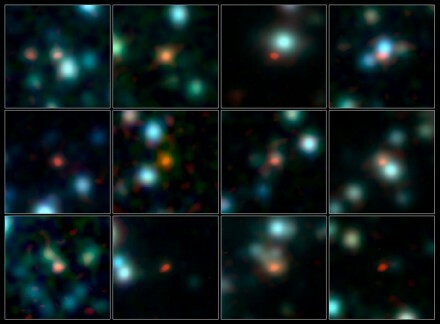 "The structure we discovered and others like it are probably the precursors of the largest structures we see today which contain multiple clusters of galaxies." 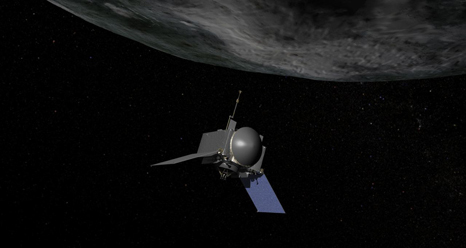 Artist's impression of the MESSENGER Spacecraft. MESSENGER began its 2,000th orbit around Mercury earlier this week, on May 22. The spacecraft completed its primary mission on March 17, 2012, and its first extended mission on March 17, 2013. 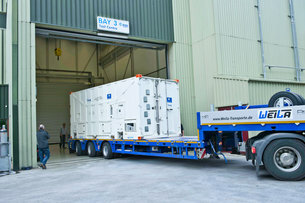 The team is awaiting word from NASA on a proposal for a second extended mission. In the meantime, instruments aboard the spacecraft continue to gather new data on Mercury and its environment. From May 6 to May 14, MESSENGER traversed a superior solar conjunction, during which the spacecraft was on the far side of the Sun from Earth. Scientists used the opportunity to measure the characteristics of the solar magnetic field from the Faraday rotation of its radio-frequency carrier. Solar storms cause communications disruptions, expose spacecraft and personnel in airplanes to radiation, and threaten electrical grids. Jensen says that the observations of the CME demonstrate the utility of this technique to predict the threat of solar storms headed toward Earth almost immediately after they erupt. At its closest point to Mercury, MESSENGER will be about 447 kilometers (277.8 miles) above a point near 83.1° N latitude. Since its most recent orbit-correction maneuver on April 20, 2012, the spacecraft has completed three orbits of Mercury every day. 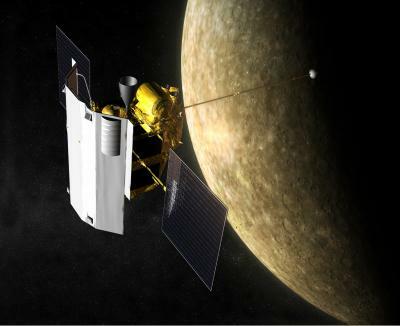 At this rate, says mission trajectory lead James McAdams of the Johns Hopkins University Applied Physics Laboratory (APL) in Laurel, Maryland, the spacecraft will reach its 3,000th orbit around Mercury on April 20, 2014. Astronomers using NASA's Spitzer Space Telescope are making weather maps of an exotic class of exoplanets called "hot Jupiters." Image credits: NASA, ESA, and C. Robert O’Dell (Vanderbilt University). The Origins-Spectral Interpretation Resource Identification Security Regolith Explorer (OSIRIS-REx) passed a confirmation review Wednesday called Key Decision Point (KDP)-C. NASA officials reviewed a series of detailed project assessments and authorized the spacecraft's continuation into the development phase. Scientists using images from NASA's Mars Reconnaissance Orbiter (MRO) have estimated that the planet is bombarded by more than 200 small asteroids or bits of comets per year forming craters at least 12.8 feet (3.9 meters) across. Mercury, Venus and Jupiter are lining up for a beautiful sunset conjunction at the end of May.